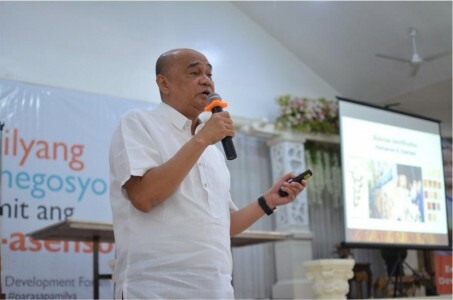 DOST-FPRDI Deputy Director Felix B. Tamolang presented the Institute’s programs and services at the 2018 Luzon Economic Development Forum organized by World Vision Philippines. Before an audience composed of 98 community, business and farmer leaders from eight provinces, he discussed the different DOST-FPRDI technologies and services that can be adopted by SMEs, communities and cooperatives which make use of forest-based materials. After the presentation, the Institute’s Engr. Armand Allan DM. Bondad and Mr. Calixto B. Lulo demonstrated the charcoal briquetting technology. Several participants signified interest to adopt this technology, as well as those on furnace type kiln drying and bamboo processing.